Learning to type can be a difficult enough challenge to begin with. But for a person with a disability — whether a learning disability, attention issues or fine motor problems — typing can become a seemingly impossible task. By just taking a few minutes a day, you can improve your touch typing skills with Typesy typing software. According to Typesy, faster typing saves you between four and 47 hours per month, leaving you with more time with friends and family. There are three versions of Typesy to choose from: for school teachers or administrators; for the parent who homeschools; and for the individual. Typesy constantly monitors your process and adapts to your needs, and each lesson is customized for your current skill level. Also, with video training and exercises, users can learn at their own pace and feel comfortable with hitting typing milestones. And if this is for a child with a learning disability or attention disorder, he or she gets the same comprehensive keyboarding curriculum — and it’s fun to use! 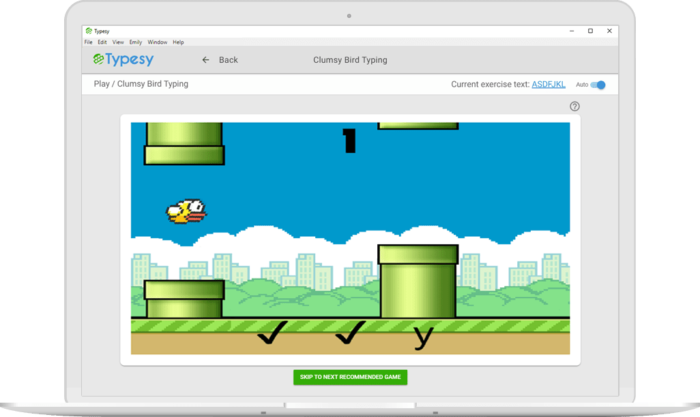 Plus, Typesy offers a game-like experience which offers rewards and higher game status for achieving certain typing goals. Kids can build their avatars, collect points and play games all while learning to become a better typist. A personal coach is at your disposal and adapts challenges for your skill level as you progress. Users have unlimited installs on all devices — you can go from work computer to home laptop, picking up right where you left off with no problems. Typesy is the perfect way to invest in your future. For more information and details, visit Typesy.com.